Our paper "Fluorocarboxylation of gem-difluoroalkenes" was published in Angew. Chem. Int. Ed..
Our paper "Aldol condensation under flow" was published in Org. Process. Res. Dev..
Our paper "Suzuki-Miyaura coupling under flow" was published in ChemCatChem. The collaborative work with NIID was published in Commun. Chem..
Prof. Shu Kobayashi recieved The T.-Y. Luh Lectureship. Our paper "Highly Selective Reductive Cross-Amination between Aniline or Nitroarene Derivatives and Alkylamines Catalyzed by Polysilane-Immobilized Rh/Pt Bimetallic Nanoparticles" was published in Synlett. Our paper "Zirconium‐ß Zeolite Catalyzed Continuous‐Flow Friedel–Crafts Acylation Reaction" was published in Asian J. Org. Chem..
Prof. Shu Kobayashi recieved CSJ Award. Dr. Hiroyuki Miyamura recieved Incentive Award in Synthetic Organic Chemistry, Japan. Our paper "Alkylpotassium-Catalyzed Benzylic C–H Alkylation of Alkylarenes with Alkenes" was published in Synthesis. 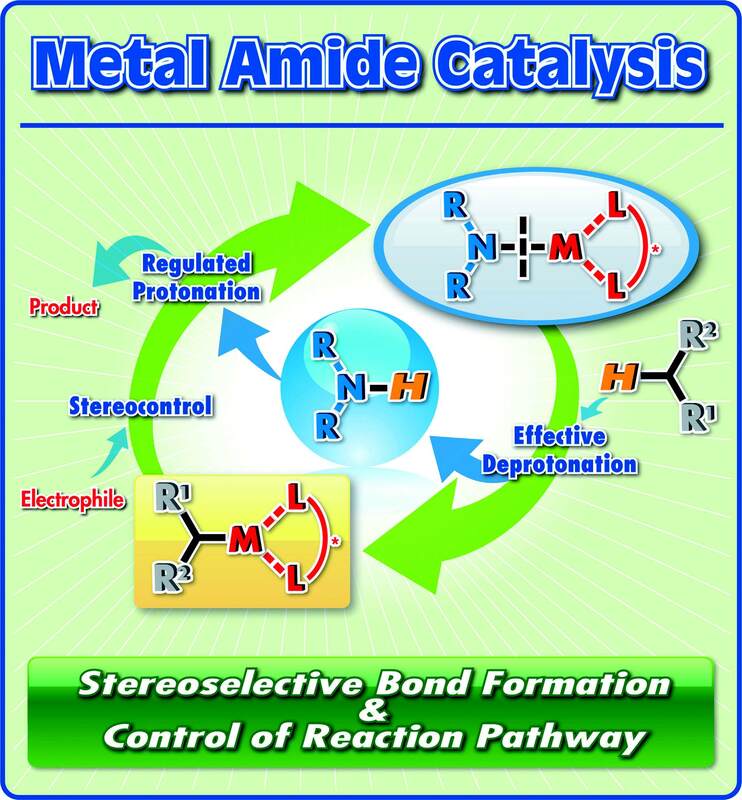 Our paper "Direct Reductive Amination of Carbonyl Compounds with H2 Using Heterogeneous Catalysts in Continuous Flow as an Alternative to N‐Alkylation with Alkyl Halides" was published in Adv. Synth. Catal..
Our paper "Chiral Lewis acids integrated with single-walled carbon nanotubes for asymmetric catalysis in water" was published in Science. Our Green Chemistry paper was highlighted by 2017 HOT articles collections . 3rd International Symposium on Catalysis Toward Green Sustainable Chemistry (CAT-GSC-3) will be held. Mr. Io Sato (D1) won a Poster Prize in 20th International Symposium on Homogeneous Catalysis (ISHCXX). Ms. Aya Suzuki (D1) won the student competition poster award in PACIFICHEM 2015（The International Chemical Congress of Pacific Basin Societies 2015）. Prof. Shū Kobayashi was elected as Fellow of American Association for the Advancement of Science (AAAS）. Dr. Tomohiro Yasukawa (Project Assistant Professor of GSC social cooperation laboratory) was selected as the finalist of 2015 Reaxys PhD Prize. 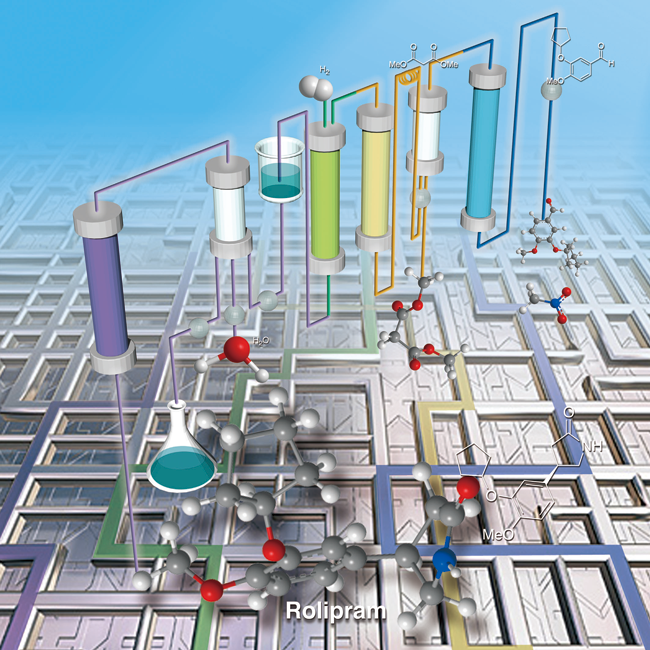 Our paper "Multistep Continuous Flow Synthesis of (R)- and (S)-Rolipram Using Heterogeneous Catalysts" was published in Nature. We finished 2nd International Symposium on Catalysis Toward Green Sustainable Chemistry (CAT-GSC-2) in great success. We sincerely appreciate all participants. 2nd International Symposium on Catalysis Toward Green Sustainable Chemistry (CAT-GSC-2) will be held. 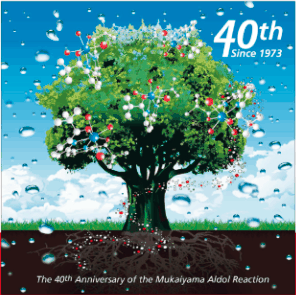 It is the 40th anniversary of development of Mukaiyama aldol reaction. Size of Gold Nanoparticles Driving Selective Amide Synthesis through Aerobic Condensation of Aldehydes and AminesNEW! Development of catalytic asymmetric direct-type 1,4-addition reactions of simple amides and estersNEW! Chiral Rh nanoparticle catalyzed asymmetric 1,4-addition reactionsNEW!